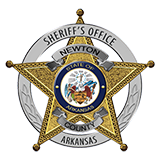 Newton County Sheriff Keith Slape said that Jeff Stanbrough,52, and wife Jolene "Jo" Stanbrough of Ponca were arrested Friday night for possession of methamphetimine with intent to deliver and possession of marijuana with intent to deliver. Mr. Stanbrough was also charged with DWI-drugs. Deputies stopped the couple at Mossville where they were observed driving in an erractic manner. Deputies Troy Wenzel and Anthony Kent found a quarter of a pound of meth along with marijuana and drug paraphenalia. The Stanbroughs are being held in the Boone County Jail.